I'm going to this tonight. If you don' t know the script you MUST, especially if you work in theater. If you don't know it, let's pretend you do so we can still be friends. 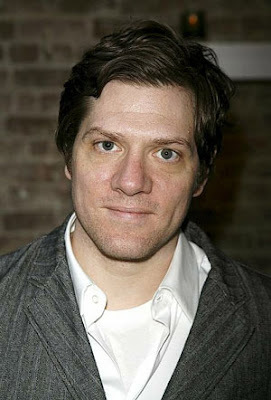 Adam Rapp is an awesome playwright. And his brother Anthony (from the Orginial cast of RENT & here on tour) will be reading the part of Wilson. Below is some more information. It's a fundraiser to come out and support and be amazed. Lorraine Bahr and Adrianne Flagg. Portland Playhouse: 602 NE Prescott St. The reading is all-ages (wristbands at the door with ID) but the play does contain strong language and adult themes. Nominated for the 2006 Pulitzer Prize for Drama for the play "Red Light Winter". 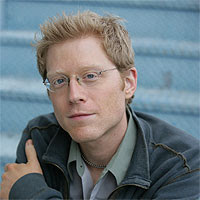 Recipient of the 2001 Helen Merrill Award for Emerging Playwrights, his play, "Red Light Winter," at the Steppenwolf Theatre Company in Chicago, Illinois was awarded the 2005 Joseph Jefferson Award for New Work. Essential Self-Defense at Playwrights Horizons in March 2007. The World Premiere of Nocturne was produced by the A.R.T. 's (in Boston) New Stages Program to enormous public and critical acclaim. It received Boston's Elliot Norton Award for Outstanding New Script as well as Best New Play by the Independent Reviewers of New England. Nocturne was co-produced Off-Broadway by New York Theatre Workshop and the A.R.T. in May of 2001. Blackbird made its American debut at Pittsburgh's City Theatre in May, 2002. Mr. Rapp's Faster received its World Premiere in January 2002 at the Culture Project in New York City. Trueblinka was presented at The Public Theater's 1997 New Work Now! Festival and went on to the 1997 O'Neill Playwrights Conference.